Carmen Griffiths (Aboyne), only 14 years old, is the leading qualifier for the match-play stages of the Aberdeenshire women's county golf championship at Banchory Golf Club this weekend. With birdies at the second, 10th and 13th in halves of 36, Carmen headed the 16 qualifiers today with a one-over-par 72, which matched the CSS. She will play Lynne Tough (Auchmill) in the first tie off the tee at 9.30am on Saturday morning. The scratch quarter-finals will be contested in the afternoon from 2.30 at 10min intervals. 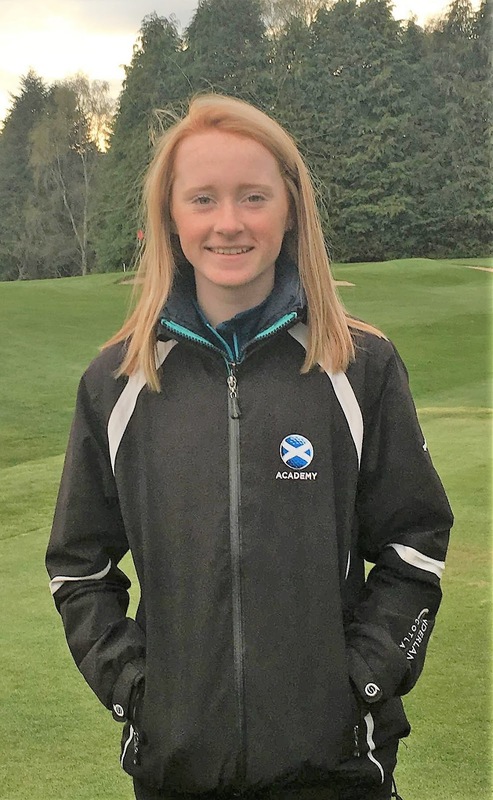 Last year's county champion, Molly Stewart (Murcar Links), now a student at St Andrews University, was unable to play in the qualifying round because of her studies. 76 J Lees (Westhill), G Christie (Banchory), C Prouse (Hazlehead). 78 S Leslie (Murcar Links). 80 G Mackenzie (Banchory), S Wood (Aberdeen Ladies). 81 R Polson (Kemnay), C Wilson (Murcar Links). 82 F Pennie (Kemnay), K Stalker (Cruden Bay). 83 F Campbell (McDonald Ellon), S Macleod (Deeside), L Tough (Auchmill). +Picture of Carmen Griffiths at Banchory by Laura McLardy. 9.30 Griffiths v Tough, Wood v Mackenzie, Thom v Pennie. 10.0 Stalker v Prouse, Christie v Campbell, Wilson v Leslie. 10.30 Guthrie v Polson, Macleod v Lees. QUARTER-FINALS at 2.30, 2.40, 2.50, 3.0. 73 L Mutch (Meldrum House) (26), S Davies (Aboyne) (16), V Neish (Murcar Links) (16). 75 M Adam (Hazlehead) (10). 77 E Whyte (Aberdeen Ladies) (6), P Fraser (Peterculter) (14). 10.50 Eakin v Fraser, Adam v Neish, Davies v Finnie, Whyte v Mutch.